I have been posting photos on my Instagram of some ICHI-JUU SAN-SAI presentations, a Japanese technique for achieving balanced, nutritious dining. 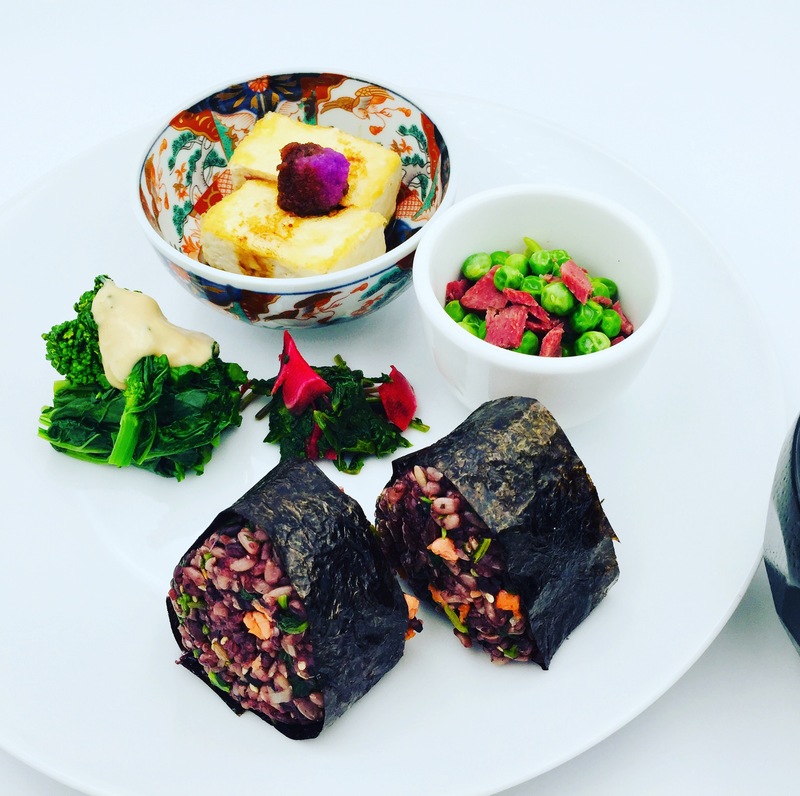 If you are new to ICHI-JUU SAN-SAI, it is an ideal meal structure for everyday home meals that has been conceived and tested in Japan by centuries of experience with nutrition and dining satisfaction. ICHI-JUU ? ?means ‘one soup dish’; SAN-SAI means ‘three side dishes’. You may find that something is missing from this basic Japanese meal structure. There is no bowl of rice. Rice is so indispensable and important in our diet that it is not counted in this menu prescription. A plate of pickles and bowl of rice is assumed to be part of the meal. So, when you make a complete count for an ICHI-JUU SAN-SAI meal, you will find six dishes in total. 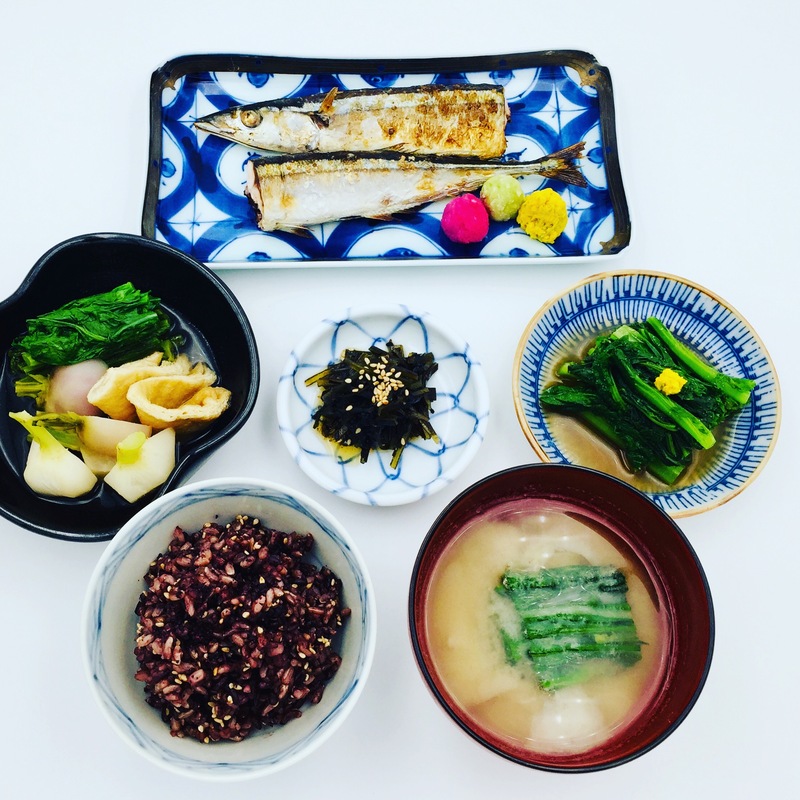 ICHI-JUU SAN-SAI includes all necessary nutrients; carbohydrate from rice, protein from fish, chicken, meat or shellfish, and micro-nutrients from all other sources including vegetables and seaweeds. 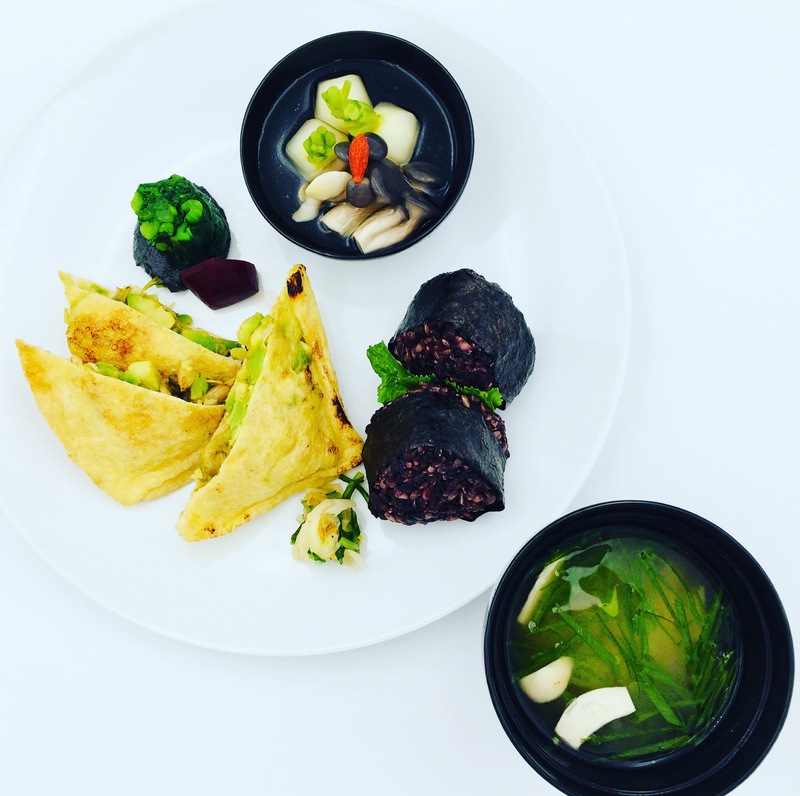 Every dish served in the ICHI-JUU SAN-SAI structure is presented in rather small and proper portion size. The meal is made more diverse through the use of seasonal ingredients. Because of this ICHI-JUU SAN-SAI can serve as an ideal meal structure model for all of us employing any cuisine, year-round. When you are having thoughts about what to eat and how much to eat, think of creating your own ICHI-JUU SAN-SAI meal. This means that you are filling 6 bowls and/or plates with protein, carbohydrate and vegetables. Choosing 6 bowls and/or plates sounds easy, but there is one additional rule. To conform to the Japanese way, each piece should be in small enough so that all six of them can be placed inside 15 -16-inch square space on the table. Place six of your chosen bowls and plates on the square to check. Now you know how much food should be plated for each dish. Don’t be concerned if you have no small bowls and plates. You can, of course use one large dish to serve the three side dishes. One problem which you may face in this presentation is that something which contains liquid (for example, a salad dressed with a loose, runny dressing) will contaminate other dishes served on the same plate; well, this is not a big worry; perhaps you have one small bowl for that item. From the preparation point of view, it is a good idea to use minimally processed, good quality food product. I like items such as such as tofu, cheese and canned wild fish. Using such convenient food items makes preparation quick, easy and effortless. Enjoy these posts and construct your own ICHI-JUU SAN-SAI set from Japanese or any other cuisine. Be creative! Hiroko Shimbo is an authority on Japanese cuisine who has earned world-wide recognition. She is a chef-instructor at respected culinary schools, a consulting chef to diverse food service industries and a cookbook author based in the United States since 1999.